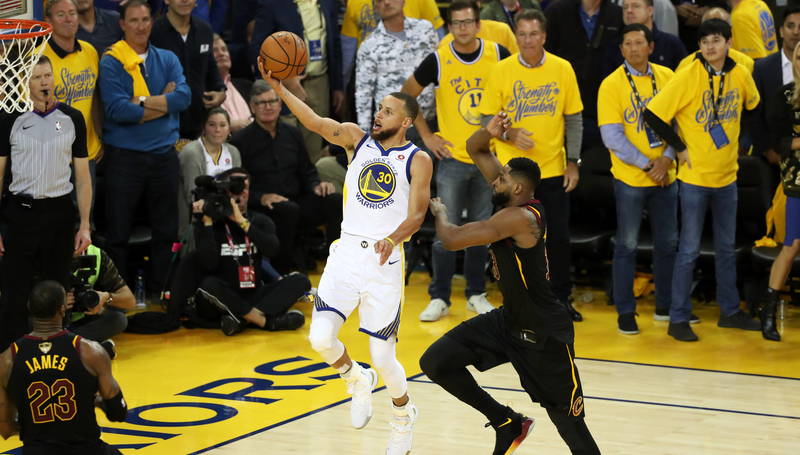 LeBron James’ 51 points weren’t enough to steal Game 1 of the NBA Finals as the Golden State Warriors held on for a 124-114 overtime victory. 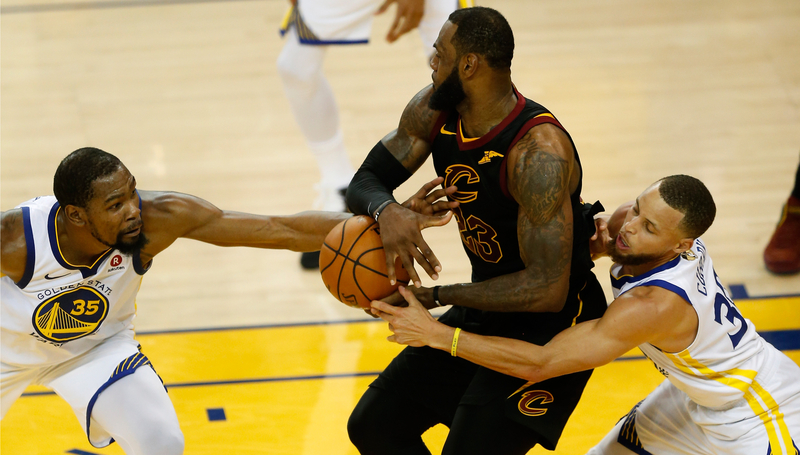 While the Warriors were fueled by a balanced attack, James had to carry nearly the entire load for Cleveland and almost pulled off an upset before his team-mates ultimately let him down. Here are the player grades for both teams in the opener. LeBron James is playing in his eighth straight Finals. LeBron James is staring at the tallest mountain he’s had to scale yet and the odds stacked against him are just as high. 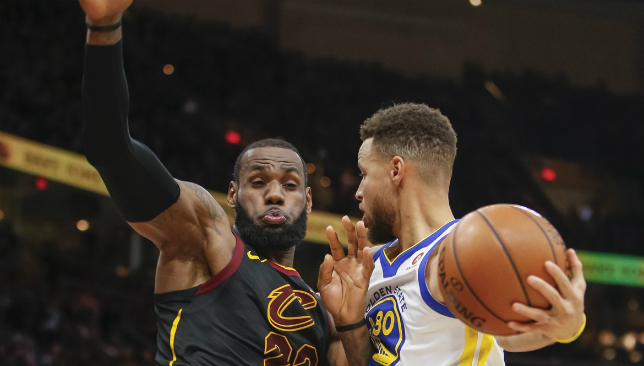 The Cleveland Cavaliers and Golden State Warriors have done this dance before – the past three summers to be accurate – but never has the rivalry felt so one-sided as it does now on the eve of a fourth straight meeting in the NBA Finals. Standing on one end is a foursome of All-Stars in Kevin Durant, Stephen Curry, Klay Thompson and Draymond Green. Facing them is James and his cadre of foot soldiers, who’ve done just enough to help their leader get back to a stage he’s been a regular on for eight consecutive years. It was only two years ago when James did the unthinkable and fought back from a 3-1 series deficit to defeat a 73-win Warriors side in the greatest Finals comeback ever, but much has changed since then. Durant joined Golden State’s budding dynasty in 2016, tilting the balance of power like an anvil dropping onto one side of a seesaw. Cleveland managed to take only one game from the new iteration of the Warriors last June and that was with Kyrie Irving still in the fold. Irving left to ply his trade elsewhere, leaving an even greater load for James to carry, while Golden State remained intact. Andre Iguodala’s knee injury changes the equation a bit, but even that loss may be somewhat offset by Kevin Love’s concussion, which has kept the Cavaliers forward sidelined since the early minutes of Game 6 in the Eastern Conference Finals. The rest of James’ supporting cast has undergone massive turnover since the start of the season, with veterans Isaiah Thomas, Jae Crowder, Dwyane Wade and Derrick Rose replaced with Jordan Clarkson, George Hill and Larry Nance Jr and Rodney Hood. And yet the new additions haven’t all lived up the billing, forcing James to rely on familiar faces like Tristan Thompson, J.R. Smith and Kyle Korver. 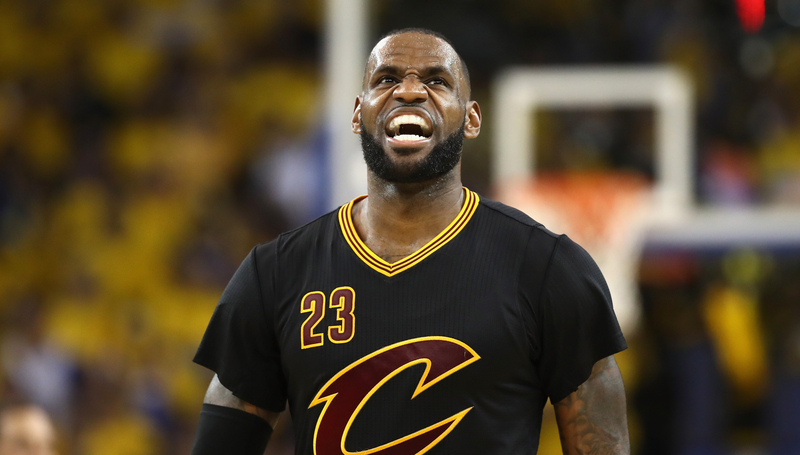 It’s been one of the most challenging seasons of James’ career, but for all the drama and change that has taken place around him, the Cavaliers have given him a chance at capturing a fourth title – as unlikely as it may be against the Warriors’ juggernaut. These could also be the final games for James in a Cleveland uniform as he has the option to hit free agency in the offseason, adding more intrigue to a series that already consists of the highest stakes. For Golden State, this is an opportunity to cement their claim as a dynasty, as three championships in four years would put them in exclusive company, alongside the early 2000s Los Angeles Lakers, the 90s Chicago Bulls, the late 80s Lakers and the 60s Boston Celtics. LeBron is a superhero, but this is a situation even he can’t overcome on his own. The Warriors are too talented and possess too much firepower for this series to be all that close. Because it’s LeBron and Golden State tend to fall asleep when they’re unbothered, it won’t be a sweep. But five games is as far as this series can go. Steph Curry vs LeBron James, part four: bring it on. One of the greatest players of all time, against one of the greatest teams of all time. Yes, Warriors-Cavs IV is boring. Like all good epics, this should have stayed a trilogy. But there are still enough subplots to make the series interesting even if the games are all blowouts. Just how much can King James do? Can the Warriors stop getting in their own way? Will Kevin Durant blow off the criticism that his hero-ball is ruining what made the Warriors great? Can Steph Curry finally have a defining NBA Finals moment, a signature performance on the biggest stage at last? The Warriors are going to win. There’s little reason to dispute that, even for the most die-hard of LeBron fans. But watching his one-man crusade against Steph, KD, Klay Thompson, and Draymond Green is going to be fun, even if it ends up being fruitless. Everyone’s expecting a sweep or a “gentleman’s sweep” by the Warriors, and there’s enough of a gap in all-around quality for that to happen. But the Warriors showed just enough vulnerability against the Rockets to give someone like James an opening. Plus, he’s going to play somewhere around 48 minutes a game, and that means time against the Warriors’ role players. Imagine the havoc he’s going to wreak on the likes of Kevon Looney and Jordan Bell. It won’t be enough to pull off an epic, legacy-defining, GOAT-title-claiming Finals win, but enough to make the Warriors sweat.